Grasses and shrubs in fall color along the trail to Mills Lake. 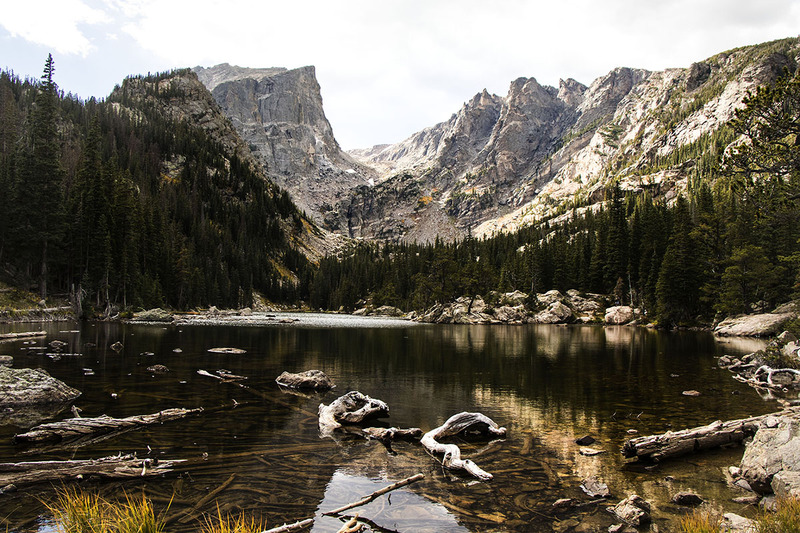 Last week I cleared five days on my calendar and headed to Rocky Mountain National Park with my son. 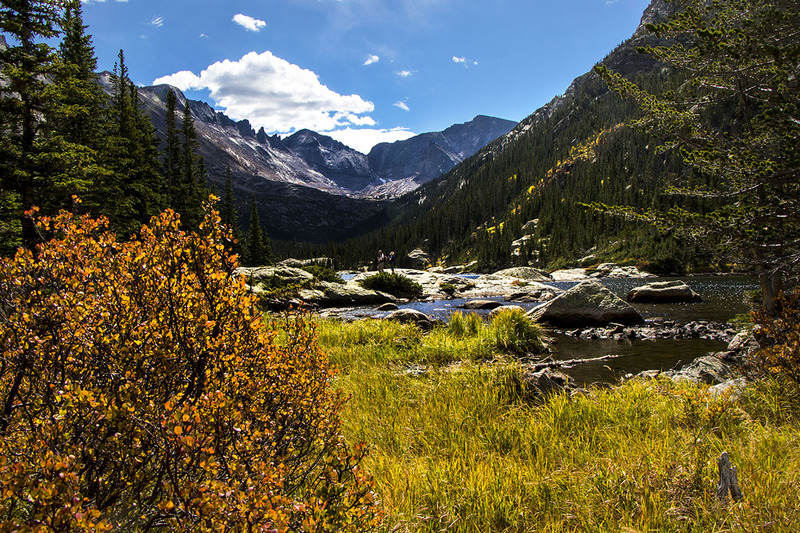 I have visited the park in the past, and I eagerly anticipated the mountain vistas of evergreens, yellow aspen trees and red tinged shrubs and grasses. The cool night time weather and low 70’s daytime temps were ideal for hiking. As I expected, the scenery was magnificent. 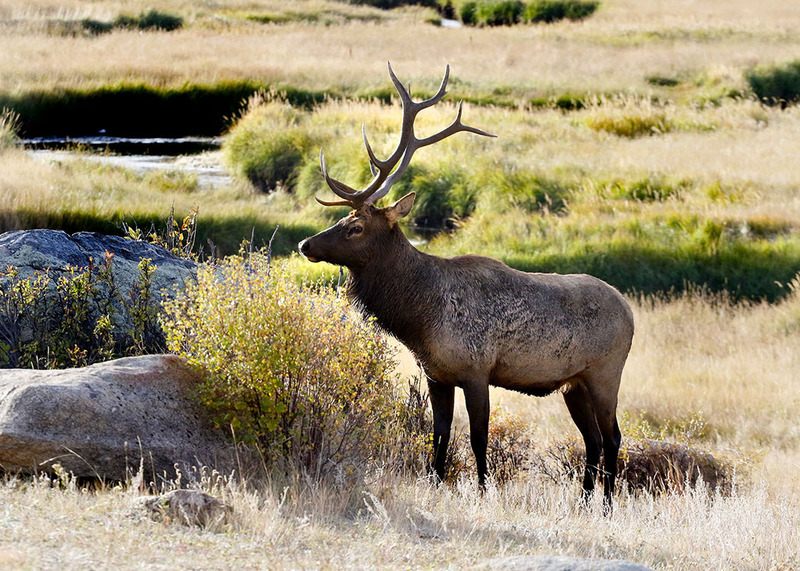 According to a presentation by RMNP Park rangers, during the “rut,” mature bull elk do not eat or sleep. They spend day and night bugling and posturing to attract females, rounding up harems and then defending the harems from from other bulls. During rutting season the bulls can lose up to 35 percent of their body weight. In the evenings during mating season, tourists and locals with cameras and binoculars line the roads surrounding the meadows to view the show. And just like the reality show, many of the spectators come evening after evening to watch the drama unfold as bulls compete for the attention of fickle females. We camped at Moraine Park which is prime elk rutting territory. Throughout the night, even in my sleep I could hear bugle calls of bull elk sometimes far away and sometimes near while coyotes yelped in the distance. 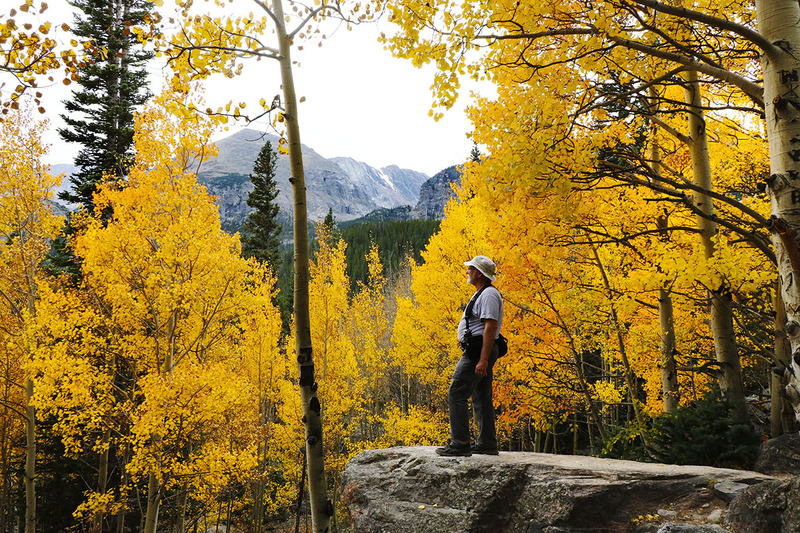 Rocky Mountain National Park is spectacular any time of the year, but in September/October, it is an extraordinary experience. 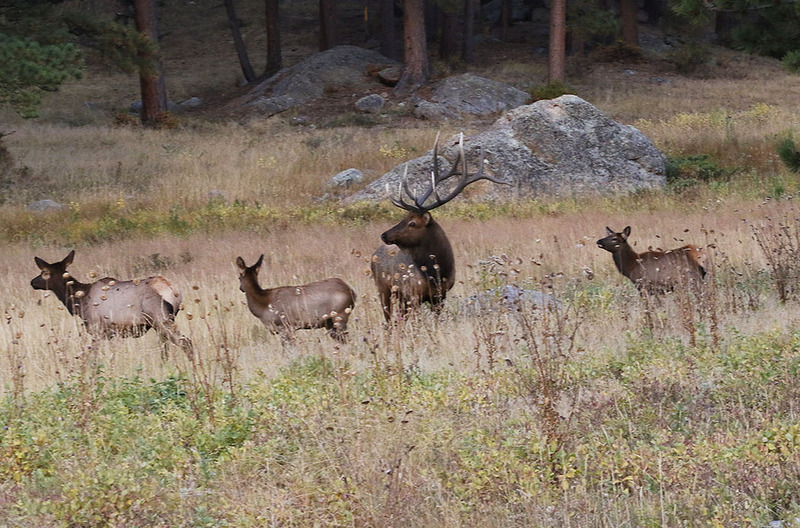 A bull elk keeps track of his harem in Moraine Park near our campsite. 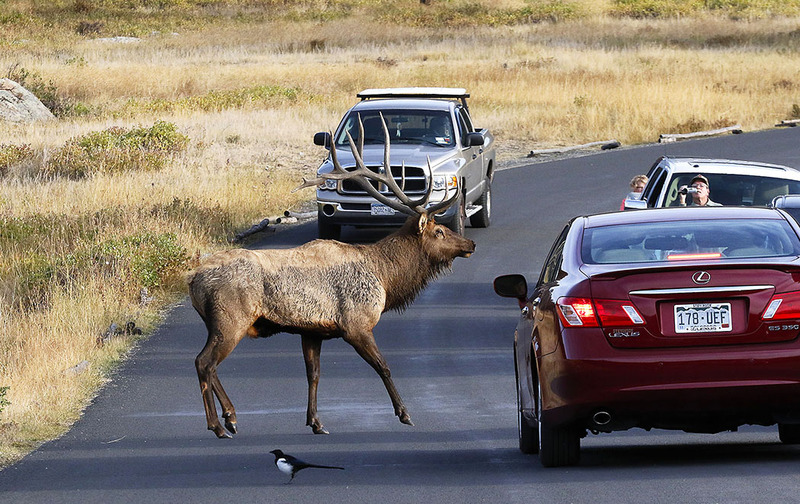 A bull elk stops traffic as he crosse the road to challenge a competitor. A bull elk in Moraine park surveys the territory. 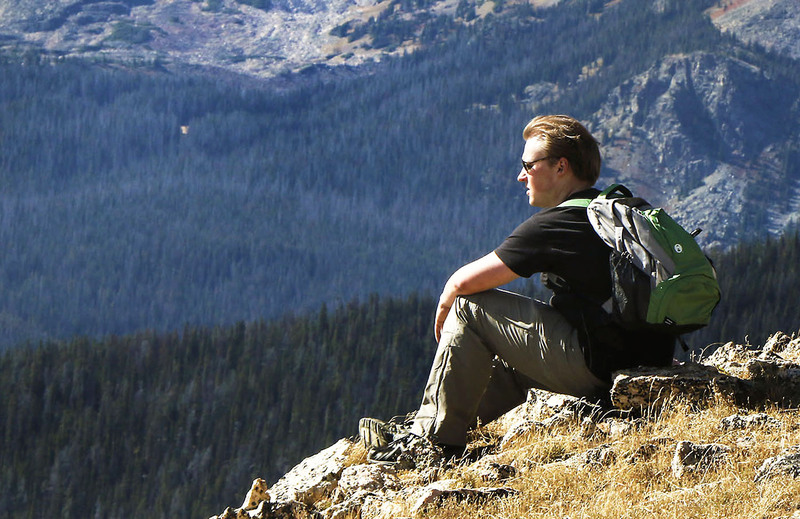 Kevin Burns rests along along Timberlake trail west of the the Continental Divide. Late afternoon looking west on Emerald Lake with Hallett Peakn in background. 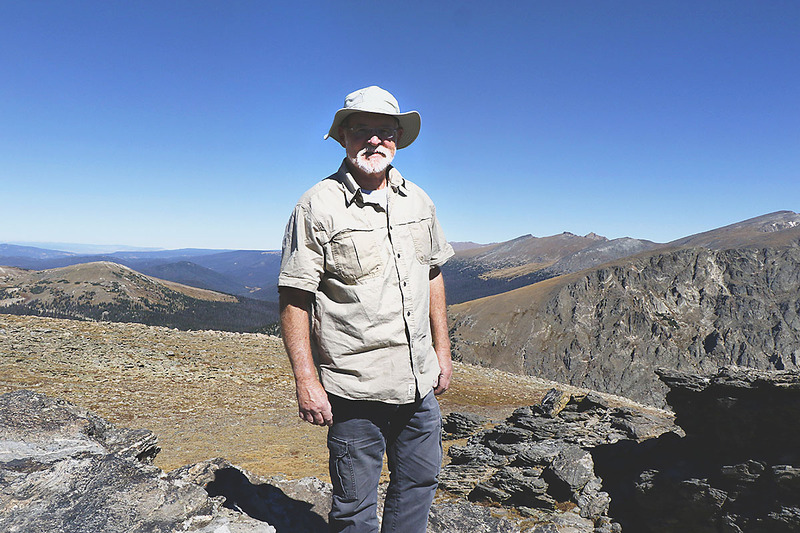 Joe (me) above the timber line on Timber Lake trail. Loved reading all about your adventure, and as usual I love your pictures! Thanks, Joe!